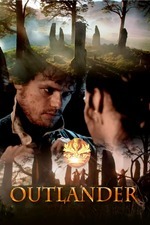 Claire and Jamie try to make a home for themselves in the New World of Colonial America. Den of Geek - Outlander settles in Colonial America in a strong season starter. EW - Is it the American Dream or nightmare? I like the Stephen Bonnet casting and thought overall this was a solid episode, but damn, the green screens on the river and in the mountains were awful. The "we should stay in America" conversation was confusing - they switched what they were arguing for a couple times. Claire starts pro, then she's arguing against it while Jamie agues for it. Claire waxing poetic about the american dream was also a bit off. I guess she's spent a lot of time in Boston, but she's English and it seemed weird, even putting aside the politics of it. I was glad when Jamie said something though. But also - there's a war coming. They know there's a war coming. It's a war they have no particular stake in, and is thus *completely avoidable*, unlike Culloden. Why not go to Scotland and come back to the states after the war, if you're still keen on it? Jamie likes to talk like he's poor and they've sometimes been cash poor but he's a minor aristocrat and it's very silly. Accurate, but silly. Why not go to Scotland and come back to the states after the war, if you're still keen on it? He can't, right? Isn't he still wanted in Scotland for various things? I thought it was a bit heavy-handed at the end about how he wanted to help mold Brianna's country into something good, though. Just before they had the "let's stay in America" conversation, Jamie's first guess as to why Claire looks worried was about just that, and he tells (reminds?) her that his wanted status is cleared up now thanks to help from somebody whose name I didn't catch. The new bluegrass version of the theme is a little odd, since bluegrass came out maybe 170 years after this story is set. Just odd, odd music choices. I didn't hate the Ray Charles song there. I do still think that guy who plays Ian is utterly wrong for that part. Love Marsali, love Fergus, but Ian: No. he looks a bit too much like the guy playing stephen bonnet but also in general yes, so very wrong. not all of the show's departures from book canon are bad but the ones that ARE bad are exceedingly so. I feel like there's an uncanny valley thing with the Ian actor in how old he looks. Like, he's got the receding hairline of a guy who could play 'man in a suit' for decades a la Stephen Tobolowsky, but then there's also that vaguely 'could play a teenager for decades' baby-faced aspect. The combo is very Benjamin Buttons off-putting. The music choices didn't work for me - not a fan of the new opening theme, and the Ray Charles song took me out of the scene entirely. the opening thing that freaked me out wasn't the music, it was the grunting cavepeople thriller dancing around the stones. i wouldn't have noticed if the music was backstreet boys after that horror. Didn’t love this episode. Thought the ending was effective and nicely done, though, anachronistic music notwithstanding. I dunno, it just felt like everyone was getting back into the acting groove. Too many random conversations that just felt like they had awkward non-endings. I’d seen the new opening a while ago so I was prepared for the bluegrass. I remain undecided. On the other hand they have a unique opportunity to be on the winning side for once. I don't think they're there yet, but they may find they have more stakes the longer they stay. I also was a bit put off by Claire's "ain't America grand" speech, which may partly be due to my current feelings about my country, but it also seemed really out of character. She's always been smart enough to not buy into propaganda of any type, so it seemed weird for her to suddenly start waving the flag for a nation that's not even really hers by birth. I think they just did it so Jamie could respond with the questions about the native people, but I feel like a more skilled writing of that scene could have had Jamie express these thoughts without making Claire seem so empty-headed first. Of course, this is just an opening to what I feel is going to be a very uncomfortable season. I'm both interested and dreading how they're going to deal with stories like encountering native Americans, the morality of encroaching on their land, encountering slaves and slavery, etc. Last season there was a tendency to white savior it all, and I fear this season will be no better at that aspect. I find the "overseas" episodes of Outlander the most interesting for location spotting. For sure this episode felt like it took place in Scotland - because the crew appear never to have set foot in North Carolina. Many of the locations are within a few miles of where I live - so trying to spot them was my major entertainment during the show - the producers can't show anything too iconic looking so there are lots of woods and lesser known housers. Outlander Series 4 filming locations. In terms of plot: the major driving issue for most of the show appeared to be "can the couple sell a ruby so that they have more money to live on?" (although they appear to have plenty). That wasn't very captivating. Yeah, I think the problem was they were trying to condense the problems. You can’t care too much about raising passage money to Scotland if you don’t feel a sense of urgency about doing it, and you can’t feel urgency about going home to Scotland if you’re just going to decide not to. I thought it was a weak opening episode. Mostly a lot of exposition until the last two or three minutes. Forgotten character from last season is hanged, wagon ride through the countryside, fancy dinner to sell ruby, newly introduced relative (is she supposed to have killed off her husbands? didn't quite catch that but the Jamie's gift of medical trunk seems very pointed) and an offer to settle in a near-future war zone. And no good deed goes unpunished. Still can’t stand the Ian casting. Gahhhhh. What a mistake using the Blue Grass version of America the Beautiful during the ambush of the river barge! Whose idea was that?? This isn't Sophia Coppola's Marie Antoinette! It was such a distraction! It made watching it almost an "out of body" experience, like "are they REALLY doing that?!"" The most poignant moment being Stephen Bonnet taking Claire's wedding ring from Jamie.. a pivotal moment of the episode and story completely overrided by some crazy person's idea to do it "music video" style. No more of that nonsense, please. Kind of killed the episode.